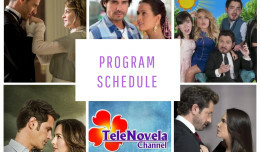 In the Name of Love: Episode 40 | TeleNovela Channel - Bringing you closer to lifes drama. Romina tells Diana that she slept with Emiliano the other night and convinces Emiliano that they made love even though he’s drunk. Meanwhile, German threatens to expose Romina and tell everybody that they have been lovers for a long time.